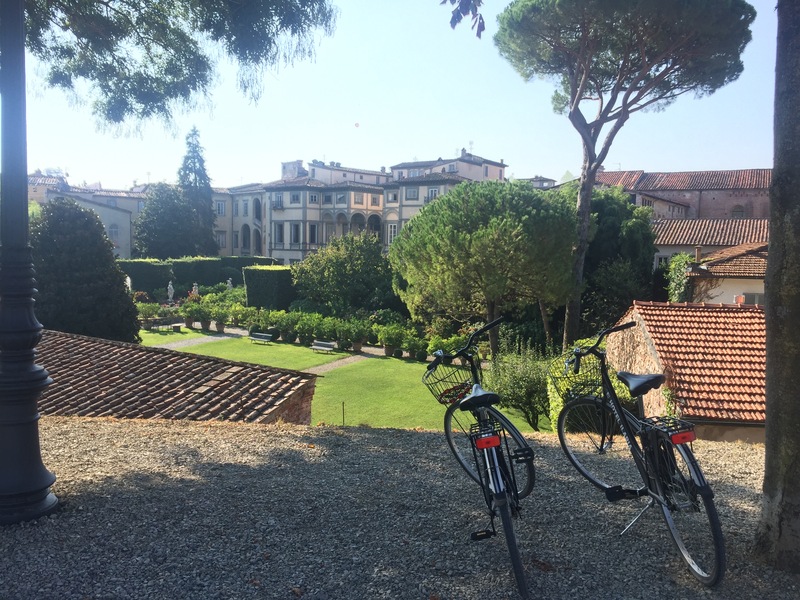 I first heard about Lucca from a Tuscan guide book, while our honeymoon was still somewhat of a day dream. 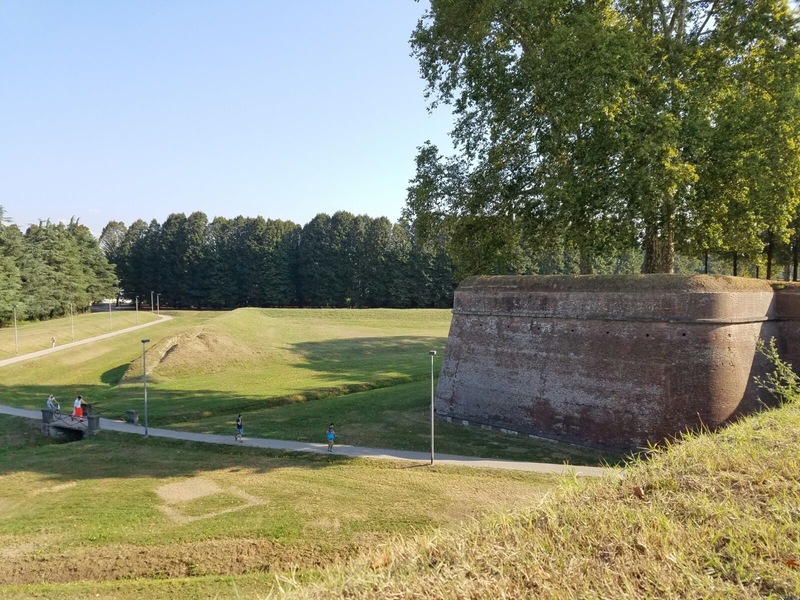 Initially, it looked like just another Tuscan town, but on closer reading, I saw that the medieval walls of Lucca were still intact, and now used as a public park and walkway! How amazing would it be to walk and bike on the walls that were built hundreds of years ago to protect against invaders? And thus, Lucca made it into our honeymoon itinerary, if just for a day. 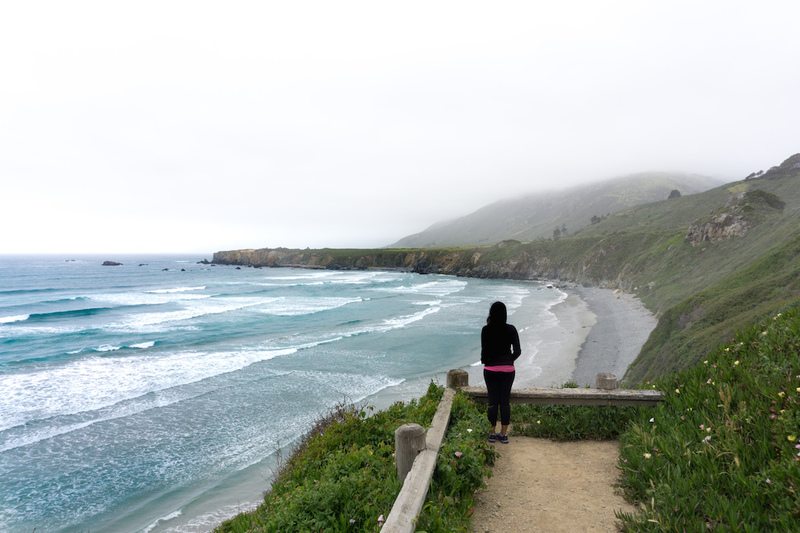 Our journey to Lucca was a bit more adventurous than we had anticipated. We had had a heavy meal in Palmira, and when we got back to Portovenere, all we wanted to do was nap. However, we had booked a hotel in Lucca that night, so on to Lucca we had to go. The route seemed easy enough – a bus to La Spezia, and then a train with one stop to Lucca. Unfortunately, we did not realize that the bus would be a public bus, with multiple stops, and people getting on (not off) with their groceries, and their school bags, glaring at us and our suitcases. Here we go again! When the bus finally dropped us off in La Spezia, we had to walk to the train station, all the while wishing we had cool autonomous luggage. When we finally got to Lucca, we were tired and a little bit grumpy. But just seeing the cute town, with it’s cobbled streets and weird sculptures brightened our moods, and gave us an appetite for the best pizza we had on this trip! 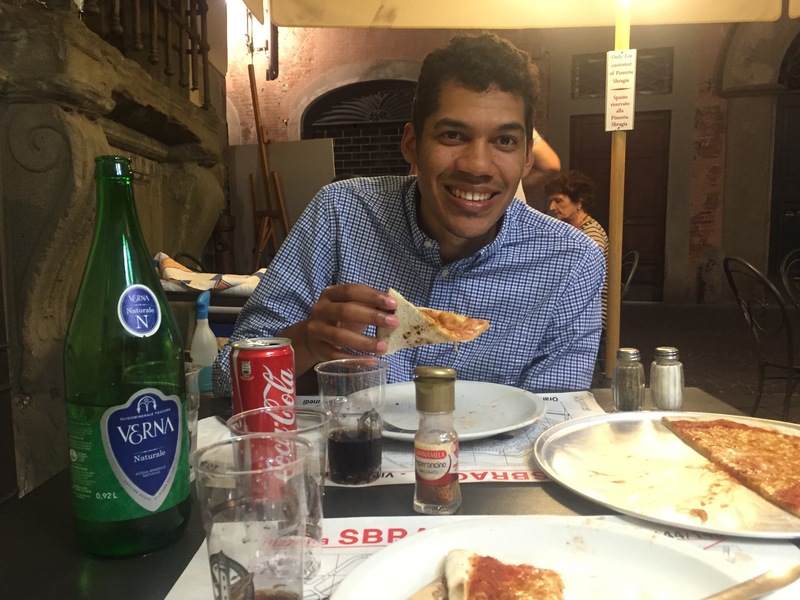 Pizzeria Sbragia in Lucca – highly recommend this! The next morning, we grabbed the free bikes from our hotel and set off to ride on the walls. Andrew loves riding bikes, and so do I, once I know that I’m not going to die under a car. 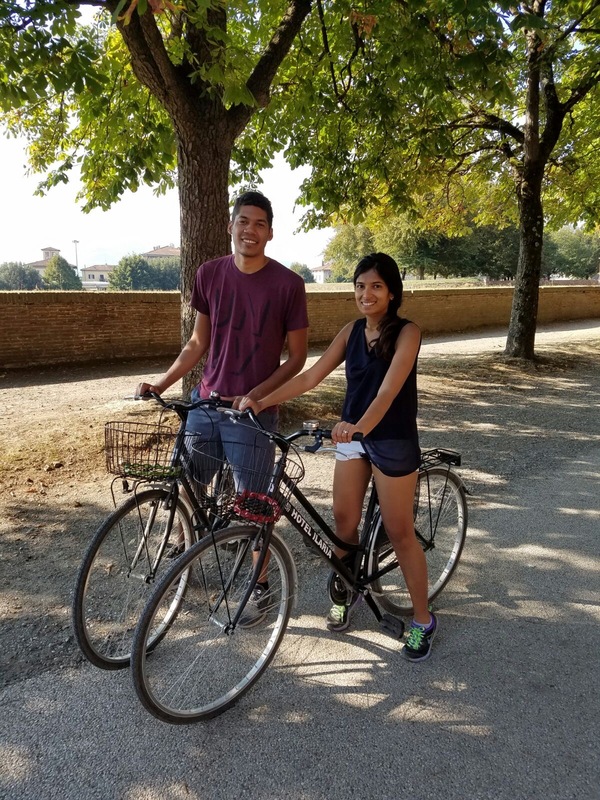 This was one of the loveliest bike rides I have been on, not just because of the views of Lucca, but also the views of the people of Lucca. 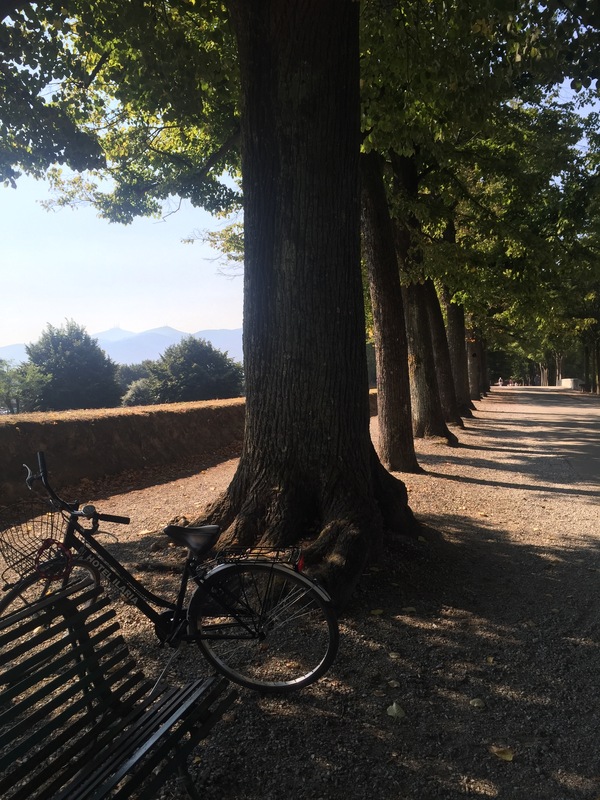 All in all, I would definitely recommend including a day trip to Lucca in your Tuscan itinerary! 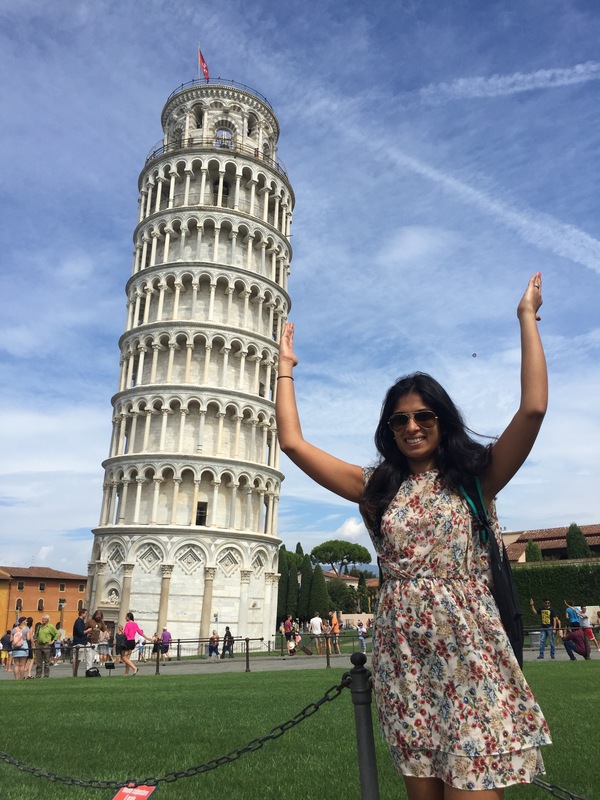 It is also close to Pisa, so you could check off the Leaning Tower of Pisa from your bucket list! P:S Thanks for stopping by my blog.